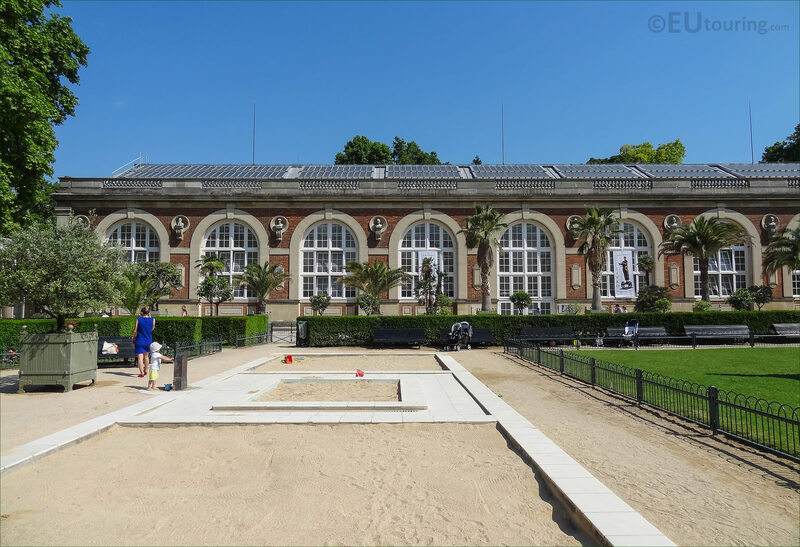 This time while we were within the Jardin du Luxembourg, which is the historical garden in the 6th Arrondissement of Paris, we took these high definition photos of the Orangerie. 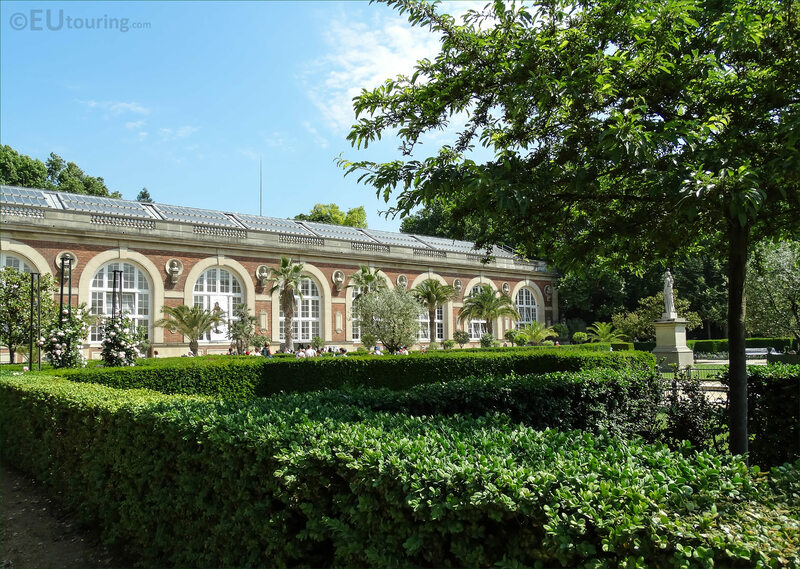 There has been an Orangerie within the Luxembourg Gardens for centuries, but the building you can see in this first HD photo was only constructed in the late 1830s and finished in 1839. 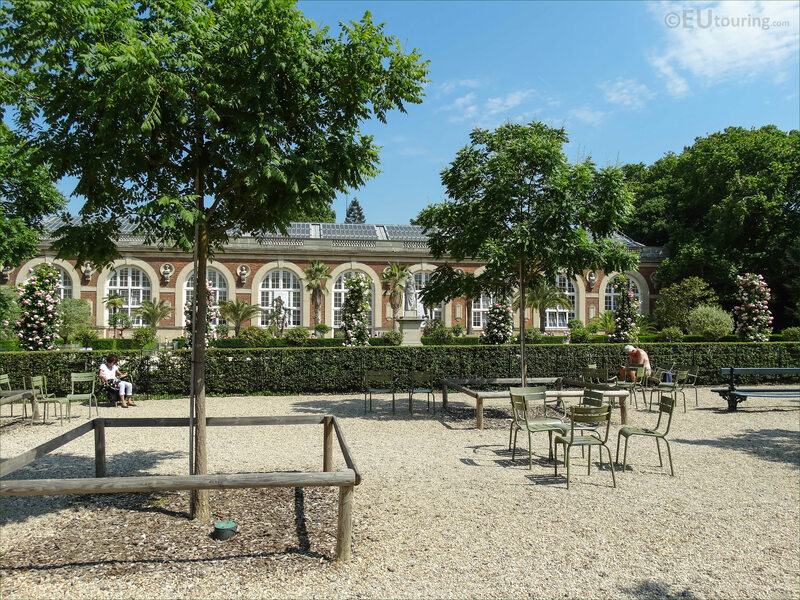 The Orangerie, or Orangery in English, can be found in the north westerly side of the Luxembourg Gardens right next to the Musee du Luxembourg and although it still holds citrus crates and date palms, which was what the building was intended for, it also plays host to different exhibitions. 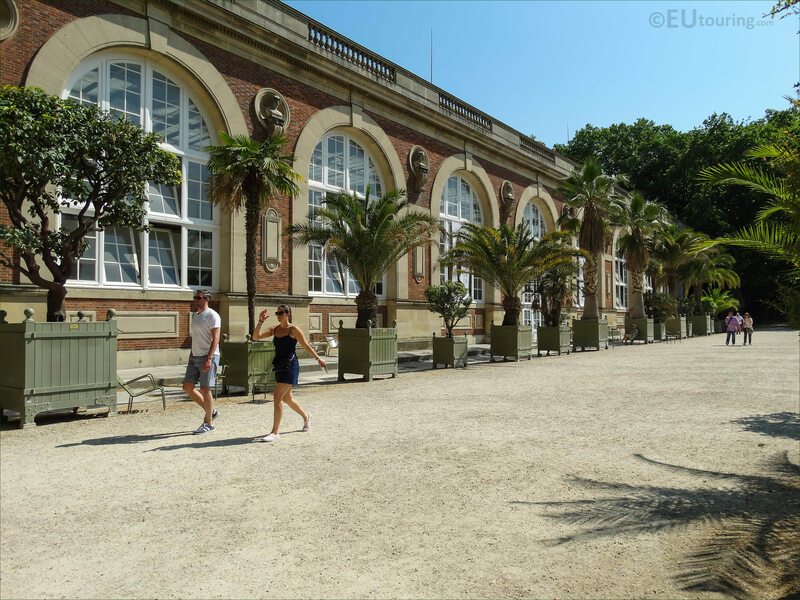 Now this photo shows that the Orangerie is also located opposite the Rose Garden, as you can see, and during the months of June to September it is opened up to the public for displays of art works such as paintings when the palms, etc have been moved into the gardens. 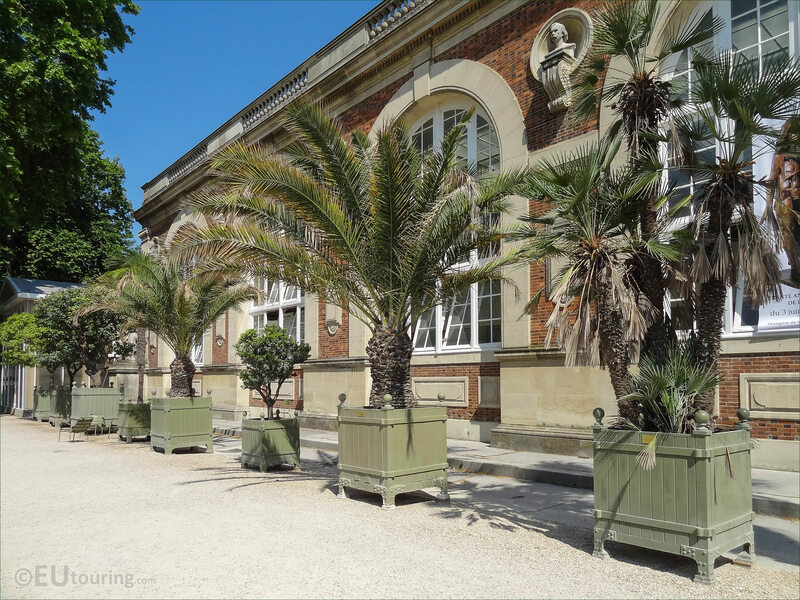 So here you can see some of the palms and other crates that are housed inside the Orangerie during the colder months, and incredibly some of these can weigh up to 4.5 tons and have to be moved with a tractor and float, which has been equipped with an electric motor since 1996. 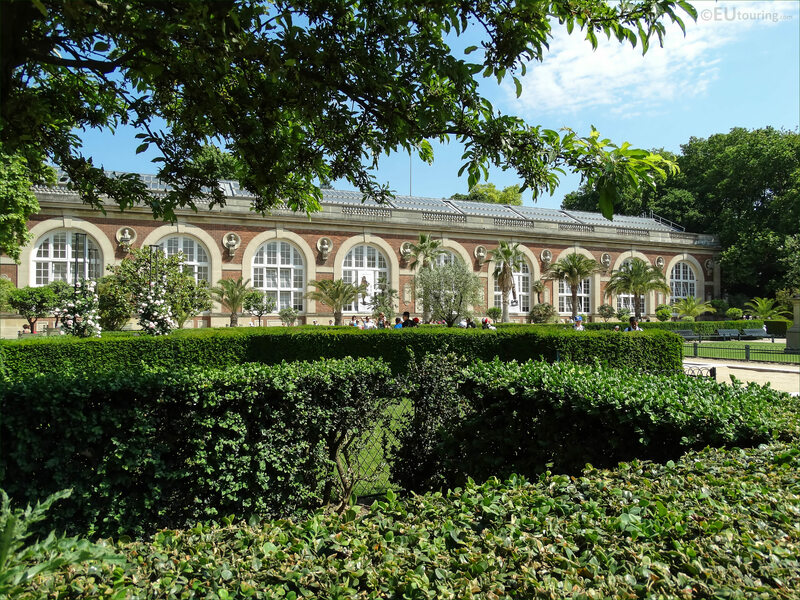 You will find that the Orangery is run by the French Senate who reside at the Palais du Luxembourg, which is also within these historical gardens, and one of their many tasks is conservation, which is why the tractor and float was changed to electric in order to reduce pollution as well as noise. 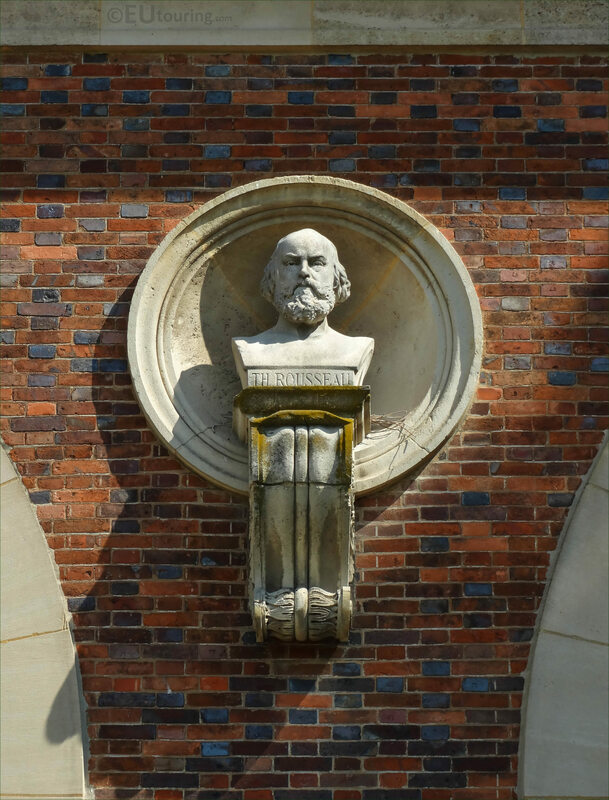 Yet this close up photo shows one of the busts depicting different artists, and as you can see this one is of Theodore Rousseau, although others depict famous French artists like Eugene Delacroix and Francois Rude. 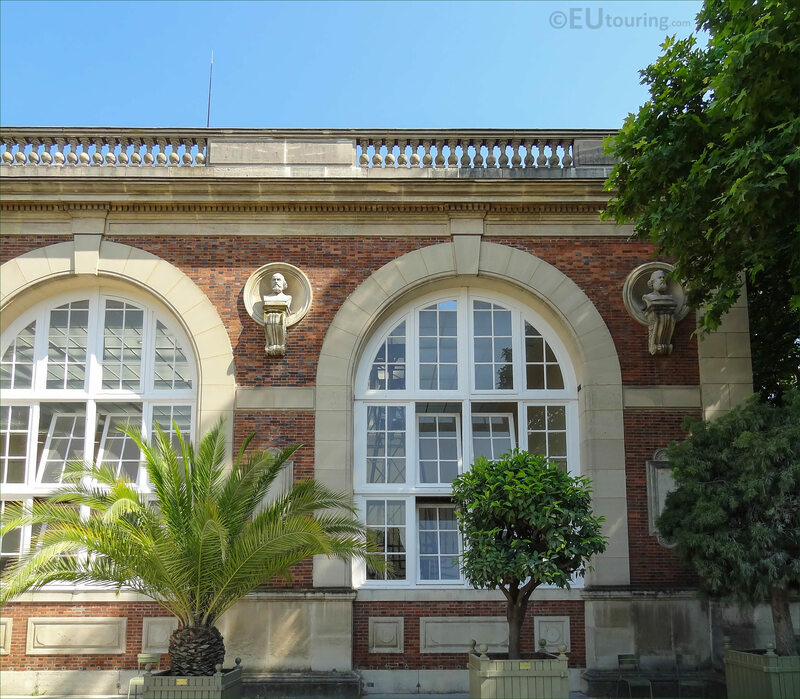 But in this image you can see some more of the crates, which are made of 4cm thick oak panels, and the orange trees get re-potted every 12 to 15 years when the wood begins to rot, yet with the growing of the palms, these end up being re-potted approximately every 7 to 8 years. 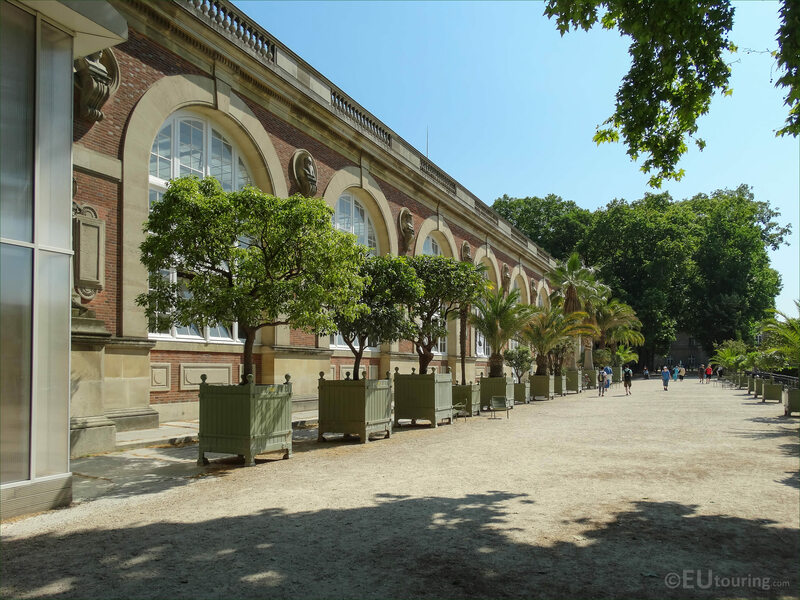 And although you will many fine specimens of orange trees, pomegranates and palms outside the Orangerie during the warmer months, the oldest sour orange trees, which are between 250 and 300 years old are positioned within the Luxembourg Gardens in front of the Palais du Luxembourg. 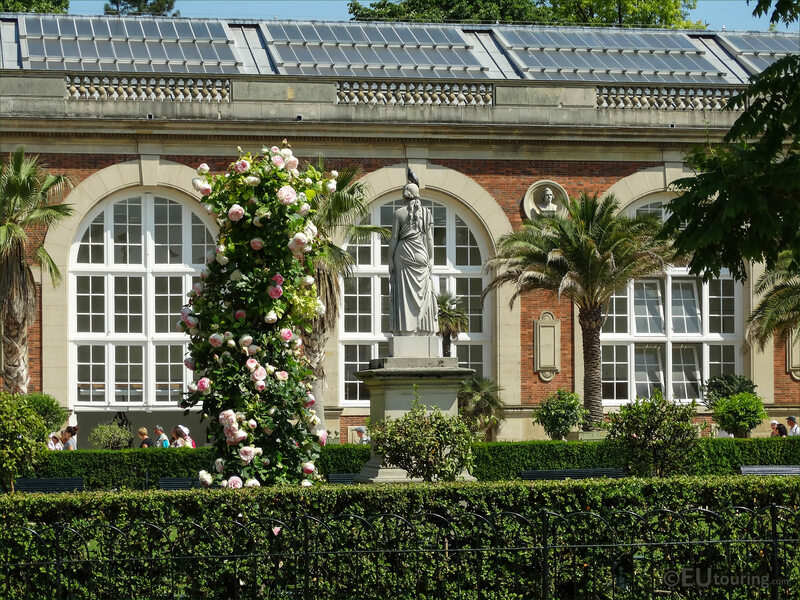 Therefore, the Orangery plays a vital role preserving these incredible plants and trees, that number approximately 180 in total, which are nurtured by a team of dedicated professional gardeners, with the orange trees getting pruned each September to maintain their shape and sustainability for everyone to enjoy for years to come.